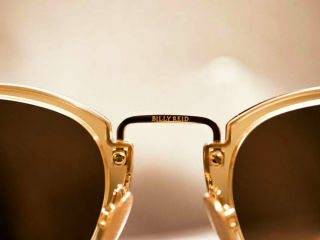 Billy Reid will celebrate the launch of their first-ever eyewear collection. Light bites and cocktails will be served. Hand-tooled horn, leather-wrapped temples, and metal inlays are just a few of the details featured on the hand-crafted frames. Fine details like custom titanium nose pads and etched temple tips with the iconic ribbon stripe design add to the individualism and luxury appeal of the collection.